Leasing a car has many advantages that make it an appealing option but it’s important for you to understand exactly what it means to lease a vehicle before you commit. If you understand what to and what not to do, you can avoid some of the common car leasing mistakes that others have made in the past. One common mistake is thinking that you don’t need gap insurance. This is usually because many people don’t fully understand what it is. People often think that it’s the same thing as their car insurance so they refuse it thinking they are already fully covered. The problem is that gap insurance is different. The second you drive that new car off the lot, the value drops. If you have an accident that totals the car or if someone steals it, your insurance is only going to pay the car’s new, lower value but that may not cover everything you owe for it. There could be a gap in what you owe the dealership and what the insurance company will pay. You will be responsible for paying this amount but if you have the gap insurance, it will pay it so you don’t have to. Underestimating mileage and neglect are two more areas where mistakes are made. One of the most important and sometimes confusing parts of the leasing agreement is the mileage. The agreement will have a certain number of miles that you are allowed to drive per year. Pay close attention to this number when estimating the amount of miles you expect to drive. 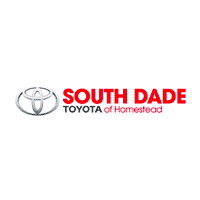 If your estimated miles are larger or very close to the miles allowed in the leasing agreement, then you need to ask the Toyota dealership to increase the number of miles you’re allowed to drive. You will pay a little more each month for the higher mileage but it is better than the alternative. If you go over the miles agreed on in the Toyota lease, then you will have to pay a certain amount for each mile over the agreed number. The actual amount charged varies between dealerships but they usually average between 20 to 25 cents a mile, which could add up to a lot of money very quickly. Sometimes, people are so wrapped up in their daily lives that they don’t think about maintaining their vehicle until something happens. For example, not getting the oil changed regularly or not changing the brake pads as soon as they wear out is considered regular maintenance. Not doing this can cause other problems to occur and it’s considered excessive wear and tear because you did not maintain the vehicle properly. You will be charged extra to fix anything caused by neglect. You may also be charged extra for spilling coffee or some other beverage that leaves a stain on the seats or accidently ripping a hole in the seat, it depends on who you’re leasing from. Some dealers will let little things go while other will charge for anything they can find. This is why it’s so important to choose a dealership with a good reputation to do business with. They have a reputation to uphold so they will be fairer but if you neglect the vehicle, you will have to pay extra for damages. Avoiding these common car leasing mistakes will help you avoid extra charges at the end of the agreement and help ensure you have a pleasant leasing experience.